Celtic fans quickly jumped onto pictures of Shay Logan dressed up in Scott Brown’s kit for his stag-do in Tenerife. The serial loser has tried hanging onto Brown to gain a level of interest but like team-mate Graeme Shinnie he has never bothered the hoops skipper on the pitch or when collecting silverware. Shay Logan in the pic. Scott Brown has let him out his pocket. Fair play to you shay, a champion for a day ???????????????????????????? Silver medal specialist pretending to be his hero thats cute ???????????? Fair play. What did you come as? A champion! @newbalance do make shirts to fit inferior players. Logan’s hit and run style was best highlighted last season when he tried to blast a ball at Brown after Sam Cosgrove had chopped the midfielder before racing off towards his own goal. After four seasons as runners up to the champions Logan completed his collection of runners-up medals in season 2016/17 when his side lost to Celtic in the Betfred and Scottish Cup finals. 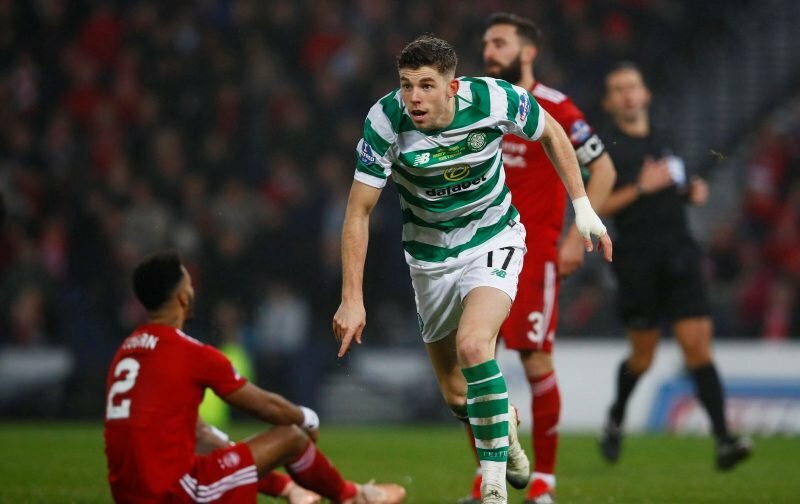 Earlier this season Logan was on the losing side to Celtic in the final of the Betfred Cup with the defender failing to keep tabs on Ryan Christie as Brown’s replacement scored the only goal of the game.